Speed of change matters to anyone building software. Many engineering teams have identified Microservices as an important component of this architectural approach to designing more flexible systems that can meet the needs of their fast changing businesses. Applying this approach however, is hard. And ideas and practices are still very much evolving. To help with that, we've launched muCon - a conference to learn about emerging technologies and approaches, share challenges and evolve practices and ideas. Join µCon 2017 to learn how other teams have adopted microservices and what they learned along the way. Help shape the conversation in discussions with some of the worlds leading architects and microservices experts. Share the challenges you are facing, the technologies you are exploring and the skills you have gained with 400 other engineers passionate about creating highly flexible systems that rock. Follow us at #mucon for all the latest updates on the conference! Thank you for making muCon London 2016 such an amazing conference! We hope you've enjoyed it as much as we did! Find below some more information, and stay in the loop! Check out muCon 2016's Highlights and Conversations with speakers here! Registration is open and we have some great Early Bird offers available so if you are planning to join us for two days packed with Android fun, get your skates on and book your ticket today! Many thanks to all of you for submitting a proposal! The programme will be published shortly, keep an eye on this page to keep up to date with our announcements! 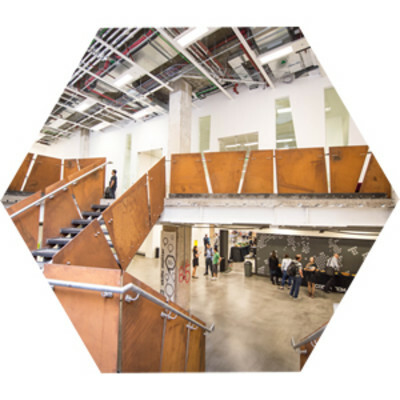 Want to stay in the loop with the latest developments within the microservices community? Join us at the brand new muCon London Bytes series we'll be hosting at CodeNode leading up to muCon 2017! Welcome to muCon 2017 - Day 1! Production hates you. The machines, the networks, the very users you hope to provide a service hate you. This is reality, and it makes production a hostile battle ground. In this talk Russ Miles will talk about how to turn this pain to your advantages. Following on from his popular “Why don’t we learn?” talk it is now the time for the sequel. Through a sequence of case studies, personal stories and code examples Russ will share with you how sociotechnical systems like your development team improve through stress, turning this pain to their advantage through learning loops so that it is no longer about “how do we avoid the pain” but rather “how do I embrace and thrive on more”. With DevOps you have learnt that you cannot simply state "it works on my machine" any more, not without a very real threat of violence from your team mates! You have the responsibility to appreciate the operational side of our software and, naturally, this means working on it collaboratively with your teams. However, are CI/CD, infrastructure as code or automation enough? The complex systems you build today out of microservices have a lot of unlocked potential and pitfalls around fault tolerance and resilience. The various stresses the system is under represent learning potential and so how do you unlock that for you and, more importantly, for your teams? Sylvain Hellegouarch will share with you what it looks like to try, learn and adapt on a complex system made of unpredictable parts through the somewhat new Chaos Engineering displine and the open source chaostoolkit. But, is it actually so new? Other industries have been conducting those experiments for decades as Sylvain will also tell you in this talk. Serverless systems allow you to concentrate solely on your code and let the provider deal with infrastructure issues such as scaling and routing. Serverless is best known for responding to events, however it is also an excellent choice for APIs and microservices. In this session Rob will share with you how he has used Apache OpenWhisk to implement APIs using the Swift programming language. You will learn how an API is built in Swift for deployment to Apache OpenWhisk. In order to do this, Rob will also cover key features of the Swift language and why it is good for server-side applications. You'll then learn how to write HTTP APIs frontend by the built-in API Gateway. By walking through this process of building an API, you'll be well placed to build your own serverless APIs. The mission to μServices, should anyone choose to accept it, typically starts with a set of approaches and patterns around system design or deconstruction. The objective of these methods being to enable better isolation and autonomy for teams, data and processes. As the journey progresses, events typically appear as both a goal and an approach to enable even looser coupling and better scalability. In this talk Kingsley will share with you a rough overview of the eventing landscape and why events, immutable data, functions and processes are key to developing scalable services. Concretely, pub/sub, event sourcing and event storming will be covered as well as experiences from building event based services and frameworks. The talk will be both introductory and interactive, with life vests and support provided. Currently working as Software / DevOps Consultant at Kloia, Chief Software Architect at Aurea Software. Google Developer Expert on Web Technologies, Tuts+ and Java Code Geeks Author, Java, Node.js Developer, Docker performer, Building Highly Available and Scalable Systems, GDG Conference Speaker, Docker Istanbul and NodeSchool Istanbul Organizer. DevOps is getting more popular and implementing from start-up to enterprise across multiple industries. In this era of DevOps, intent of DevSecOps is to build on the mindset that “everyone is responsible for security” with the goal of safely distributing security decisions at speed and scale to those who hold the highest level of context without sacrificing the safety required so DevSecOps term given that security and other important practices are supposed to already be an integral part of routine DevOps workflows. But the reality is that security often gets more lip service than thoughtful and systematic integration. This despite a threat environment, distributed development teams, and rapid iterative releases requiring security approaches that are continuous, adaptive, and heavily automated. Red Hat’s expertise with open source software and practices offers direct lessons for DevSecOps. In this session, you will learn at successful practices that distributed and diverse teams use to iterate rapidly while still reacting quickly to threats and minimizing business risk. Daniel will share with you how a platform like OpenShift can serve as the foundation for DevSecOps in your organization. Daniel will also consider the risk management associated with integrating components from a variety of sources—another consideration that open source has had since the beginning. Finally, you will learn ways by which automation using open source tools and repeatable trusted delivery of code can be built directly into a DevOps pipeline. 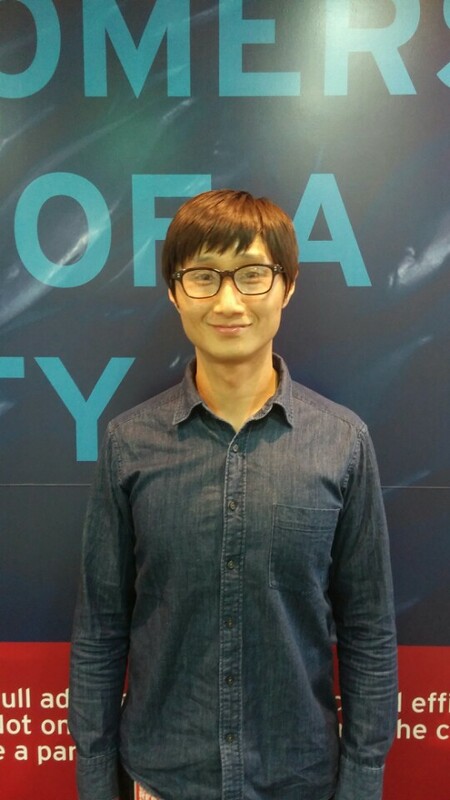 Daniel Oh is an Specialist Solution Architect and Agile & DevOps CoP Manager at Red Hat. He's specialized at Container, DevOps, Agile, JBoss, PaaS, and OpenShift across multiple industries. He's been delivering technical seminars, workshops to elaborate new emerging technologies for IT citizen and keep influencing them to make sure this paradigm and technologies. He's been talking about rapid changing emerging technologies at global events like ApacheCon, Red Hat Summit, Open Source Forum. If you log in to your savings account and find your money has gone missing, you might not be sticking around with that company for too long. In fact, you might even want to sue them! On a financial platform, every fraction of a penny can make a big difference. The microservices paradigm brings more flexibility to software development, but it doesn't come for free. Whether it’s network issues or software bugs, it’s important to be able to reconcile, and rectify the platform quickly. Having a 99% success rate is not good enough - your reputation is on the line. Losing a day’s worth of transactions by restoring backups isn’t usually an option either! In this talk, Thomas will address the question “What are the necessary building blocks for building a safe, robust and trustworthy micro-service event-driven financial platform?” You will learn what our architecture looks like and, more importantly, how Thomas and his Team have addressed some of the key NFRs of supportability, resiliency and consistency. Thomas is a senior software engineer at Landbay, a peer-to-peer fin-tech startup in London. He is contributing to a platform, made of a couple of dozens microservices written in Java, that matches investors to borrowers. He previously worked in advertising, where he contributed to building a service-oriented platform from 0 to 250 million requests per day. There’s plenty of persistent storage options out there - everything from NFS to commercial storage arrays to cloud storage. But how do you choose what you need, now and 20 years in the future? How do you avoid lock-in to specific hardware or providers, and the resulting painful migrations? As your storage needs grow, how do you maintain the flexibility to scale? How do you balance business requirements vs developer speed and productivity? In this session you'll learn the future of container and cloud native storage. Bernd tweets at @berndruecker and his GitHub can be found here. You're all familiar with the benefits that microservices can give you - the ability to create highly scalabale and resilient systems that also allow you to rapidly deliver new features. At the same time, you also know that Conway's Law says that your architecture will invariably follow the hierarchy and structure of your organisation. If this is the case, how do you create organisations and culture that are optimised for building microservice oriented architectures? In this talk, David will share with you how we can create highly aligned, loosely coupled teams that are geared up to make the most of what microservices offer and cope with the challenges they will bring. Breaking down your monolith into microservices — or starting fresh with a microservice architecture on a new project — is only half the battle. The next step is making your containerized microservice application fault tolerant and highly available, but how do you get there? How do you go from your local development machine to a production-grade cluster? See how container orchestration platforms like Kubernetes and Swarm can be essential assets for your production workloads, and learn how to replace bottlenecks and single points of failure with highly available, scalable microservice deployments. At Codeship, she works on improving the Docker infrastructure and overall experience for all users of the CI/CD platform. Previously, she worked on several open source projects to support Docker in the early stages of the project, including Panamax and ImageLayers. She currently lives in Berlin. End of Day 1 of muCon - See you tomorrow! Welcome to muCon 2017 - Day 2! A software developers you spend a lot of time dealing with mechanism and strategy. You try to scale systems and organizations, and you see advantages to decentralization, so you move toward blockchain technology and evermore decoupled systems. But what do you really know about scaling and the forces that lead to centralization? They are related. In this keynote, Michael Feathers will share with you their connection and what that means for your expectations about systems. A frequent presenter at national and international conferences, Michael is also the author of the book Working Effectively with Legacy Code (Prentice Hall, 2004). A lot of the questions I hear at microservice conferences are along the lines of “should I use technology X?” or “what are your thoughts about the Spotify organisation model?” While these focused questions are important, experience has taught Daniel that embracing a disruptive approach to building and operating software, such as that introduced by microservices, requires a much more systemic approach. Anyone who has read Jared Diamond’s seminal book on history “Guns, Germs, and Steel”, which explains why over the past 13,000 years Eurasian and North African civilizations have survived and conquered others, will recognise that environmental differences could be at the core to making systemic changes. Following in Diamond’s footsteps, in this talk Daniel will share with you potential "environmental differences” that makes a microservice implementation successful. 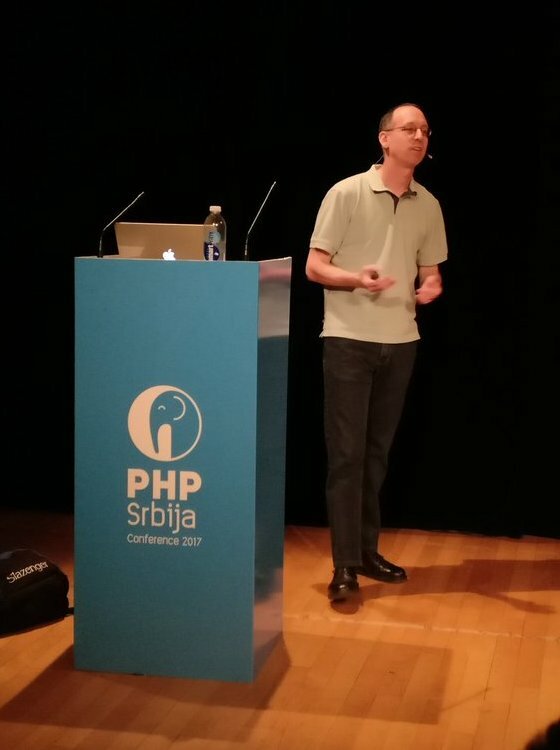 Key topics and takeaways: - The importance of communicating the strategy and vision of a microservices migration. - How to establish and act upon architectural feedback. - An overview of core technology components, and how they fit into the dev, test and operation of microservices. With the rise of DevOps, programmable infrastructure is reaching widespread adoption. However, although automated testing of software is becoming more common, the same cannot be said of testing the automated deployment of cloud infrastructure. With microservices making our deployments more and more complex, you can no longer afford to ignore this type of testing. During this talk you will learn some approaches to programmable infrastructure testing that we have created, from the perspective of a project that required functional testing of infrastructure. Irina will share with you a high level overview of how Monzo moves mountains behind the scenes to build a bank without a single point of failure. You will learn about the tools Irina and her Team use build and deploy microservices in Go, how they design each service to be simple and self-contained and how microservices should communicate with each other and the world. Organizations can reap large benefits from migrating from a monolith to a microservice-based architecture because microservices provide much more flexibility to adjust applications to changing business needs. Since such a migration affects every layer of an application, big-bang strategies are often perceived to be the best path of a migration. Reality shows that big-bang strategies are difficult to make successful. Frequent slipping deadlines and not delivering business value during the process puts development teams under large and unnecessary pressure. In this talk, Gideon wants to dismantle the idea that successful microservice implementations are a simple technical game; replacing old technology for new technology. Re-architecting software should improve businesses and development processes on an organisational level, increasing flexibility to ensure full rewrites are something of the past. Gideon will share with you a different strategy for the disentanglement of monoliths; using an incremental –domain for domain– angle, risks can be managed better, and the promise of increased business flexibility can be fulfilled from day one. Levering the concepts of DDD and the battle-tested design principles powering the Lagom framework, you will learn by example how such a migration can be jump-started using Lagom. Event Sourcing is a popular persistence pattern that allows reconstructing different views of reality from its history. But the commonly accepted approach guarantees consistent events at write-time but may fall short scaling to big-data magnitudes, or coping with unreliable clients and transport, as when working with IoT and mobile. Embracing Event Sourcing you have already abandoned ACID transactions, but you have to push BASE (Basic Availability, Soft-state and Eventual consistency) one step further, making compromises between low-latency writes, read delays and read-model consistency. You also have to leverage Reactive architectural principles and message-driven microservices to scale out to big-data and keep command processing latency low. In this talk Lorenzo will share with you experience, errors and successes from real-world projects. Authentic problems like building a consistent state from late or missing events, and when you lack any global time reference, at least until everyone will have an atomic clock on his mobile phone. It offers an alternative point of view on Event Sourcing, described with whiteboard-like drawings and lessons from the trenches. Vert.x is the leading JVM-based stack for developing asynchronous, event-driven applications. Traditional ACID transactions, especially distributed transactions, are typically difficult to use in such an environment due to their blocking nature. However, the transactional actor model, which pre-dates Java, has been successful in a number of areas over the years. In this talk you will learn how they have been integrating this model using Narayana transactions, Software Transactional Memory and Vert.x. Michael will go through an example and show how Vert.x developers can now utilise volatile, persistent and nested transactions in their applications, as well as what this might mean for enterprise deployments. Michael Musgrove is a developer with 20+ years experience building distributed systems using CORBA, JEE and OSI. He currently works in the transactions team at Red Hat, Inc implementing Java and C++ solutions for the middleware market. Prior to his role at Red Hat Michael was involved with a variety of technologies including software and hardware fault tolerance, management of distributed systems and systems management products for servers. The ability to react quickly to changes and outperform competitors is one of the key advantages to microservice architecture. But just how fast can these changes be delivered without forsaking quality, robustness, etc. Chris and his Team decided to find out by streamlining their delivery pipeline and leveraging the latest technologies. Using Jenkins 2.0 pipelines, Terraform and a number of other tools, they now build, test and deploy our microservices to AWS. In this talk, Chris will share how they built their “infrastructure-as-code” repo as well as their full continuous deployment pipeline, all using open-source tools. This will be a nitty-gritty, practical session rather than pure theory which will show the tools in action, as well as the code Chris and his team wrote to get things right. During this talk you will learn how microservice interconnectivity layers (a.k.a. edges) should be tested. There is a fundamental flaw in existing testing practices, which carries major risks to microservice architectures. Rand and Nikhil will share a solution in which the provider microservice ships with an intelligent fake that expresses the provider's behaviors. The consumer microservice uses the fake to exercise its non-vanilla interactions with the provider in unit testing. Rand Davis is passionate about building systems and successful engineering organizations. He tends to fill various roles simultaneously, but have a steady hand in distributed systems architectures, software development process, and developer productivity. He is currently the Head of Software Engineering at Code Eight, a stealth start-up that is tightly affiliated with Walmart and Jet.com. At ING they already have a microservices-based architecture. It certainly sounds cool, but how can you enable developers create innovative customer experiences even faster? How can you help them reason about their system complexity and change functionality comfortably without breaking it? Nikola will share with you an open-source technology he and his Team developed to declare, verify and execute microservices-based orchestration flows. During this talk you will learn: - to write a recipe for such a flow with an internal DSL (domain specific language); - visualize the recipe as a graph to communicate the steps of the process with business and technical stakeholders; - and run the resulting flow within a RESTful API. Nikola is an expert engineer at ING in Amsterdam. He is a software craftsman by heart, hacking in Scala, Java and Elm. Mark will also discuss logging & tracing, testing approaches, and migration patterns and will demonstrate how to develop & effectively manage microservices using OSS tools employed by Netflix to keep movies streaming globally 24x7. Mark Heckler is a Pivotal Principal Technologist & Developer Advocate, conference speaker, and published author focusing upon software development for the Internet of Things and the Cloud. He has worked with key players in the manufacturing, retail, medical, scientific, telecom, and financial industries and various public sector organizations to develop and deliver critical capabilities on time and on budget. Mark is an open source contributor and author/curator of a developer-focused blog and an occasionally interesting Twitter account. It has been said that “Microservices is SOA done right”. But really, what’s the difference between SOA and microservices and why is this question fundamental and has implications that could go beyond a potentially amusing twitter debate? Microservices have been around for a few years now. Many organisations with large and complicated systems that would truly benefit from introducing microservices can not do so in a vacuum; they are often operating in a context that has been heavily influenced by the SOA movement - for better or worse. This influence can often be easily discerned by existing technical choices, but what is less obvious but more important is the conceptual and architectural influence that the SOA approach is still exerting on how microservices systems even when technical legacy is not an issue. This talk is based on 4 years and a few microservices project that Tareq has been directly involved in at different stages of maturity. Tareq will share with you some fundamental differences between SOA and microservices, and following that you will learn a number of pragmatic lessons and simple design recommendations that hopefully help bridge the gap between the reality of organisations trying to adopt microservices today and the bleeding edge of theory and technology. Many of these lessons can help you design and build better microservices architectures today. During this Keynote talk you will learn about two things, both related to simplicity. 1 - Mel will describe the twelve attributes of “hands-on, modeless-workflow” application development, and he will illustrate these attributes using a wiring tool to build two applications without code. 2 - Then he will share with you how the common Domain-Application-Presentation three-layer model clears a large space for non-programmer business stakeholders to contribute importantly to building prototypes as part of the application definition process. Mel Conway’s career in IT began in 1956 with punched cards and vacuum-tube computers. From that time until now, his primary interest has been simplifying the process of building software; his perspective has been systems analysis of human activity. In 1963 two papers introduced four innovations on compiler design, including a pipeline of coroutines, that were adopted in the COBOL compilers of several computer manufacturers. The thesis of his 1968 paper on the design process has come to be known as “Conway’s Law.” In the 1970’s he consulted to hospitals and medical schools, and as an independent contractor he built interactive digital-to-video viewers for CAT and PETT scanners, based on TTL digital logic, for three medical institutions. In 1982 he cofounded a startup that built Macintosh Pascal for Apple based on his design, unique for immediate turnaround and source-level debugging in a computer with limited memory. Off and on from 1992 to the present he has been addressing the question: what would it take for software technology to be so simple that everybody understood it? End of muCon 2017 - See you in 2018! 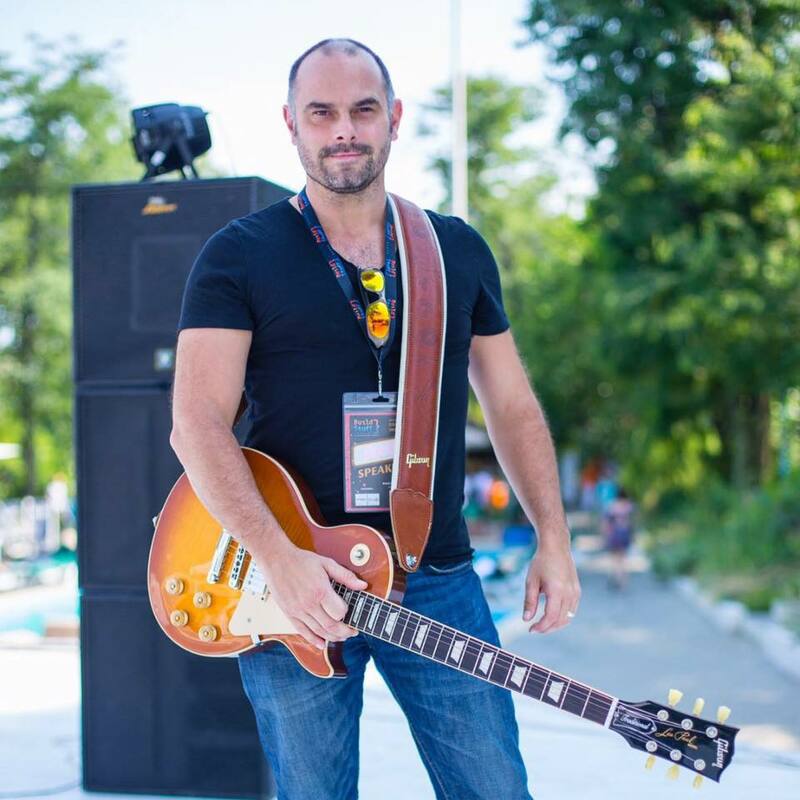 Rocker and microservices maestro Russ Miles shares some excitement for this November's MuCon! I am speaking at a number of great conferences in late 2017 and one I'm really looking forward to is MuCon London 2017 in November. 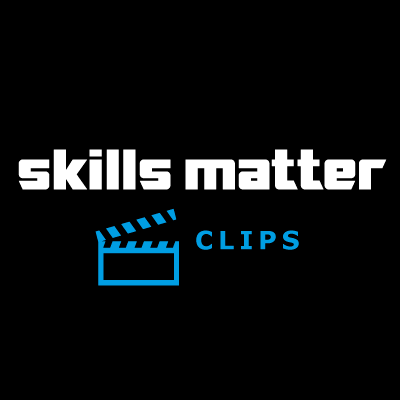 When I originally collaborated with the wonderful folks at Skills Matter on the idea for the conference I could never have anticipated the tenacity of the subject still going strong years later! It seems that the combination of being interesting, technical, and topically diverse keeps the force strong with this one! Find out more about Russ and his work with / talks on Microservices here on his website. Interested in joining Russ and other experts at this year's conference? Check out the Programme Page for more info! 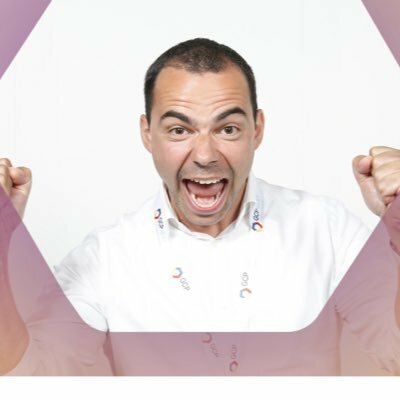 Serverless, APIs AND Swift?! Microservices star Rob Allen has all three covered at MuCon 2017! I'm excited to be speaking at this year's µCon in London about Serverless APIs in Swift. If you've been following me for a while, you'll notice immediately that this talk covers three things that I'm excited about which is pretty amazing! Swift is a lovely statically typed language that fits me well in the way it thinks. Since being open sourced, it now also targets Linux and so it a contender for fast, efficient microservices on the server. I particularly like its emphasis on safety and helping the developer avoid mistakes with features such as optionals and closed switch statements. A philosophy of immutable-by-default is just the icing on the cake for me! Professionally, I write and integrate with APIs a lot; they are the way that we connect disparate services together to create products that are greater than the sum of the parts. As an integrator, good APIs matter a lot to me; I'll take any opportunity to help developers understand why we have standards and help them write great ones. There's a reason why we have multiple verbs in HTTP and understanding of idempotence can make a difference to the usefulness of your API. I'm freelance, so if you need API help, contact me! This year, Gartner added serverless computing to its list of emerging technologies to watch. It estimates that we are 2 to 5 years from mainstream adoption of serverless, so now is the time to learn this technology and make plans to see how you can use it. There's a lot to like about the serverless (aka functions as a service) model. I particularly like that the management of servers, the operating system and scaling are all the provider's domain. Couple that with a payment model where you only pay if your code is executing and I think that this is an exciting technology. In my talk at µCon, I'll be exploring these threads and showing you how APIs work in a serverless environment. I'll also show how I've used Swift to write API end points that preform interesting things and hopefully inspire you to go ahead and write your own serverless Swift applications. See you there? Want to see what else MuCon 2017 has to offer? Head to the Programme Page for more info! 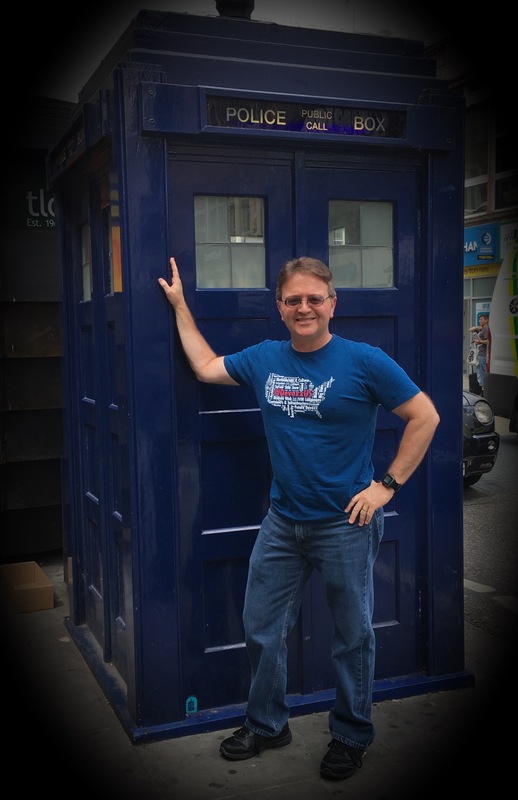 Internet of Things wizard Mark Heckler shares some Micoservices community insights pre-MuCon! 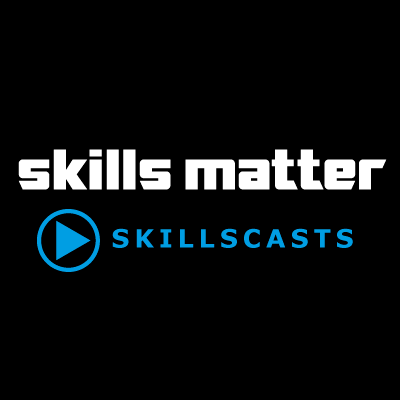 The folks at muCon/Skills Matter asked that I share a few insights regarding my talk, thoughts on muCon, etc. by answering a few questions/inquiries. I'm happy to do so! With that in mind, here we go. In a nutshell, how to quickly build microservices that contribute to meeting actual business objectives. No organization will dominate (or perhaps even remain) long if they don't focus and continually refocus upon creating available, scalable, & resilient systems at velocity that provide real business value. To allow and empower your team to do that, you have to leverage proven patterns and enablers: this session will introduce those, show you how they work, and demonstrate via live coding how quickly you can spin up a robust foundation for your microservices architecture. The community's constant desire to improve and do better! This is not a group that accepts "acceptable". If there is a way to deliver better software faster to production, they want to know about it. How can you not love that?!? In accordance with the previous point, anything new! Not for new's sake, but for genuinely different perspectives that might improve our ability to (again) deliver better working software faster to production. Architects, developers, & technical managers who are considering or building microservices/microservice architectures or who are struggling with velocity, resilience, or managing complexity. After providing valuable context, I start from zero and live code a full portfolio of microservices, providing explanations throughout. If you understand systems at some level & need/want to know more about microservices, I think you'll like this talk. There are some interesting trends and developments that show real promise, but the most exciting development is, in my opinion, reactive streams-based microservices. Most existing distributed systems spend a lot of time blocking - waiting for upstream services, underlying data stores, etc. - and while it's easy to reason about imperative systems that operate largely by issuing requests and awaiting responses, those systems are generally less efficient and in turn, less scalable. This isn't a problem in all cases, or even in the majority of cases...but adding reactive capabilities to your system(s) enables you to tackle those requirements where traditional systems falter. Reactivity isn't a golden hammer, but it is a great tool to have in your toolbelt. If you're in London 6-7 November, please join us at muCon! And do say hello...a session is a great way to get a conversation started, but it's no place to finish it. Hope to see you there! Curious about what else is happening at MuCon? Head to the Programme Page for more info! Follow Micoservices star Daniel Oh on a journey into DevSecOps at muCon London 2017! From 2009, the DevOps term has been steadily promoted and brought into more mainstream usage for accelerating business agility with modern Microservices application, container platform, and culture transformation. In the meantime, IT Ops is always thinking of the security is a roadblock that should be removed from DevOps initiative or delivery pipeline. This maybe be true but may not because in most cases, security bugs can be addressed in the same way as other software defects. In this era of DevOps, intent of DevSecOps is to build on the mindset that “everyone is responsible for security” with the goal of safely distributing security decisions at speed and scale to those who hold the highest level of context without sacrificing the safety required so DevSecOps term given that security and other important practices are supposed to already be an integral part of routine DevOps workflows. But the reality is that security often gets more lip service than thoughtful and systematic integration. I am so excited to be joining this year's MuCon 2017 at London where I will be sharing my above thoughts on DevSecOps since I am specialized in Container, Microservices, Agile, DevOps, Open Source so I'm presenting this topics as evangelism stuff at multiple conference, summit like ApacheCon, Open Source Summit, Red Hat Summit. 1.) What is DevSecOps and Why do we need? More importantly, you will discover what capabilities should be consider to begin your DevSecOps initiative for digital transformation and why a developer is the artisan of 21st century to make it happen so far. I'm looking forward to having a great time for discovering, sharing, asking with everyone who can attend to this great event. Feel free to reach out to me via @danieloh30 anytime if you have any questions. Check out the MuCon Programme Page to see what other great sessions are lined-up for this years MuCon! Engineering expert Nikola Kasev shares some thoughts on the upcoming MuCon! * How do I make sure that teams build APIs to support those processes in such a way that they can re-use logic already implemented by others? * How do I address the need to change already built processes safely without breaking them? * What if systems of record are unavailable, how to do handle that in my APIs in a uniform way? * What if developers switch teams, how do they get up to speed quickly? * Can the code be represented visually, so that developers can reason about the application logic comfortably and communicate with stakeholders? For me it's interesting to see patterns re-occuring as time passes by. Each new paradigm solves existing problems, but introduces new ones. For example with micro-services you apply the protocols of the Internet to solve issues like interoperability (think the days of SOAP and web-services for example). On the other hand, you see an emerging need to manage and accelerate container deployments of micro-services, canary releases, and many other new problems to tackle. How other companies apply micro-services to solve their problems. I'm also looking forward to learn more about applications with serverless architectures. By serverless I mean logic that resides and runs transparently for the developer, no worrying about deployment and scalability. Java and Scala developers building RESTful APIs that call multiple micro-services in order to achieve a specific promise to the customer. Architects will be interested as well, as I will be sharing ideas about an event-driven architecture that relies on a catalogue of re-usable logic. Technical managers will be interested in the lessons learned when applying an innovative application framework in a large enterprise as ING. frameworks for building serverless applications - because many developers want to focus on the application functionality but would like to leave deployments, scalability and monitoring aside. Head to the Programme Page and check out what else is happening at this years conference! 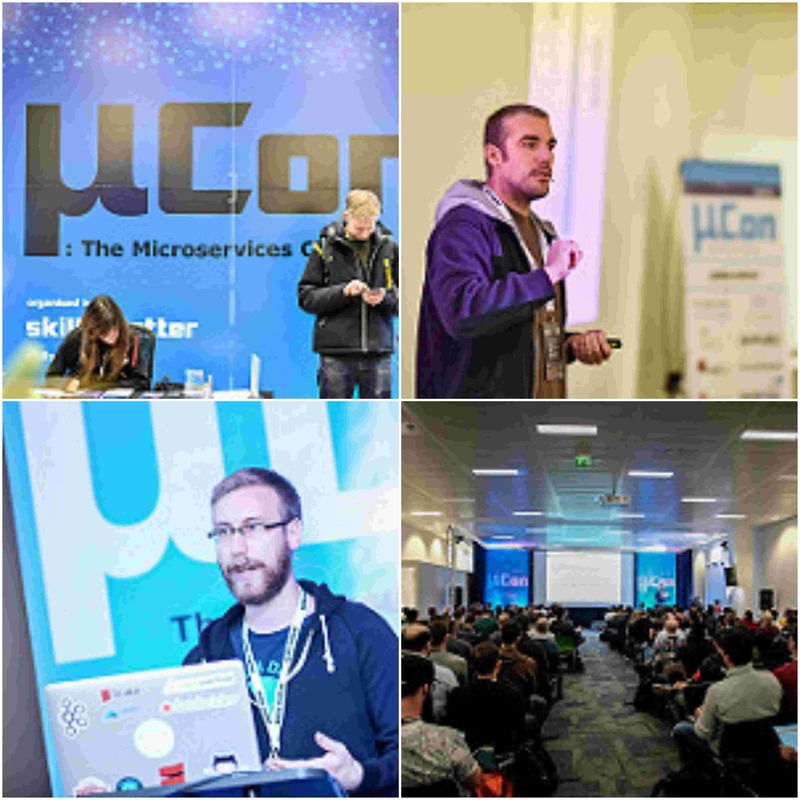 Don't miss these Special Moments with the experts from muCon London 2017! Want to get more out of your legacy systems: more performance, functionality, reliability, and manageability? Join this two day masterclass with Michael Feathers to develop confidence in developing design plans for large-scale refactoring and debt mitigation and to maximize the potential of your existing code base! Whether you are seeking to improve visibility of your tools, devices or projects, or simply would like to support µCon's passionate community through your engagement, our sponsorship team will be able to help you select the best sponsorship package for you! 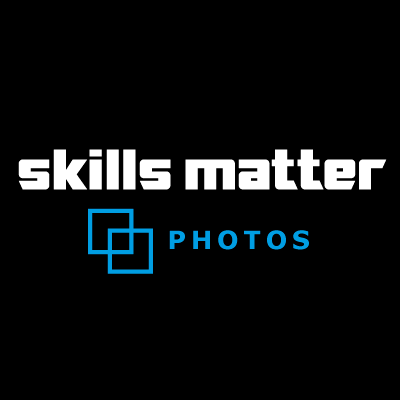 Email sponsors@skillsmatter.com or phone 0207 183 9040. Would you like to write about muCon 2017? Do you blog on innovations on microservices? Come and join us at muCon London this year! If you blog about muCon 2017! and send us the link, we'll proudly feature you on these pages! And if you would like to write an article or interview some of FullStack's amazing speakers, inventors and thinkers this year, contact marketing team and have a chance to win a free press pass.